How do you promote civil discourse in our democracy? 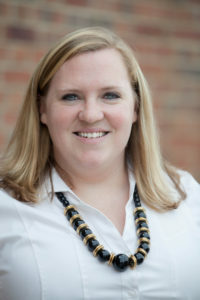 Whitney Manzo, assistant professor of political science at Meredith College, details how getting students thinking and talking about it may help turn the tide. Dr. Whitney Ross Manzo holds a BA in Political Science and History from the University of Oklahoma and an MA and PhD in Political Science from the University of Texas at Dallas. Her main expertise is in the areas of voter behavior, elections, public opinion, direct democracy, and constitutional and electoral law. Dr. Manzo’s current research focuses on public opinion of political issues as they intersect with gender and race. She also studies how new voting rules affect turnout and behavior and has given presentations to civic groups discussing voter ID laws. Many voters this election season have expressed discomfort at both presidential candidates. In fact, the disapproval ratings for Hillary Clinton and Donald Trump are some of the highest we’ve ever seen in major party candidates for president. One of the reasons so many people are disliking this election, and even politics in general, is because it seems so combative. Very personal details are discussed in the media and candidates are called unpleasant names. All this negativity turns people off. How do we fix politics? How can we make Americans want to participate in their democracy? One way is through promotion of civil discourse. Civil discourse is conversation aimed at promoting understanding, and is very important in running a functional democracy. Once we cut out the harsh words and polarizing rhetoric, we can talk about the many facets of controversial issues with the goal of solving the problems facing our country, like immigration or income inequality. One way we promote civil discourse is through having our students talk through these controversial topics. At our college, we run a poll every semester that asks respondents about current political issues. Past topics have included females in political office, voter ID laws, the gender wage gap, and perceptions of law enforcement. Sometimes respondents haven’t been very nice, and sometimes our students get hung up on. However, when we’ve asked the students what they think about the poll, they overwhelmingly state that, unexpectedly, they enjoy talking to other people about the issues. They like hearing about how others view these tough topics. Our hope is that the students take this willingness to engage in civil discourse into the community and encourage others to partake, as well. In this way, we can do our part to get people voting and improve our democracy.